Kenyan runners are already paying, in many ways, for the successes of their predecessors in running. 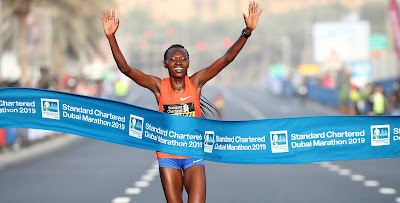 Currently, to qualify as an elite athlete from Kenya to run any big city marathon these days, one needs to have run around 2:06:00 in the distance while for runners from other countries, times close to 2:20:00 can get them the same recognition and access to the same start lines. One can check the elite start lists of the 2018 New York City Marathon to confirm that. But that aside, there is also the punishment that the athletes give themselves, the more they get faster in their training. I remember one time when I was in a certain camp, we would do 1hr 10 minutes run in the morning on our easy days. These were done in a route that took us 16km to complete it, but, with time the athletes kept pushing their limits as they got fitter and fitter and some were soon covering the distance in less than one hour. This angered the coach and to correct it, he would stand at the usual finishing place so that when the athletes arrived earlier than 1hr 10 minutes, he would tell them to keep on running past the finish line until the 1hr 10 minutes elapsed. It happens that the fitter they get, many athletes change their "easy" running paces and, without good supervision from their coaches, eventually end up hurting their general training. The same athletes would soon get burnt out from over training and may never get back to their top fitness again. There is also the tendency of some athletes getting attracted to expensive lifestyles once they win some good money in their races. When they miss to perform well again due to many reasons, be it injury, illness, or other factors, the same athletes find it had to maintain their expensive lifestyles and will end up depressed in live.